Wenn du diesen Beitrag lieber in Deutsch lesen möchtest, klick hier. After sunset. ISO 125, f1.7, 1/90s. 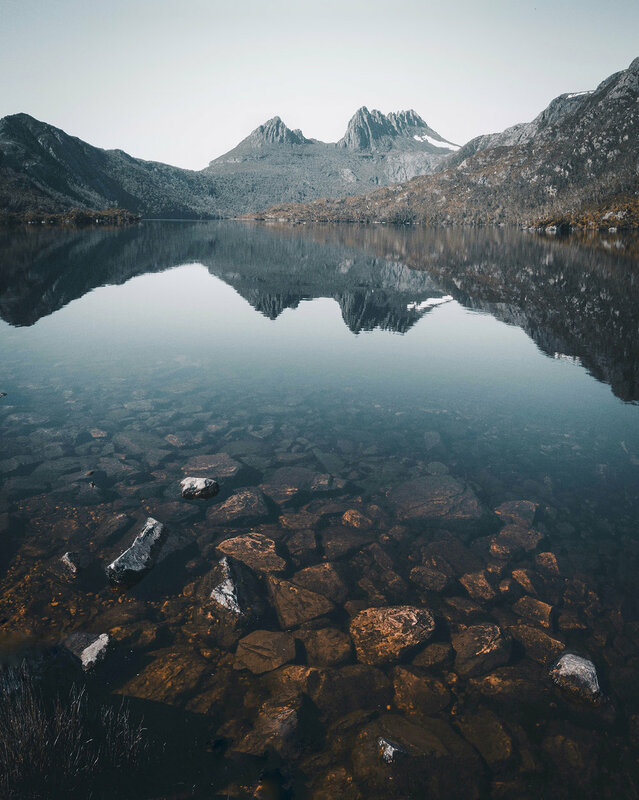 Franklin-Gordon Wild Rivers National Park, situated in the heart of the Tasmanian Wilderness World Heritage Area, offers endless landscapes of hills, dense rainforests and winding rivers. The road follows one of those rivers and passes by this bridge which is the starting point for several Multi day hikes towards the mountains. Afternoon light. ISO 800, f1.7, 1/400s. When you picture a paradise in a jungle, you might think of Daintree National Park without even knowing it. This rainforest is the oldest rainforest on planet earth and is home to thousands of plants and animal species with a direct access to the beach where the Great Barrier Reef starts. Although the beach looks just too inviting, you should not swim there - except you would like to be a crocodiles dinner, or being attacked by sharks and deadly jelly fishes. Better choose one of the nature pools in Cape Tribulation. Model: @alinakondrat. Late afternoon light. ISO 400, f1.7, 1/60s. 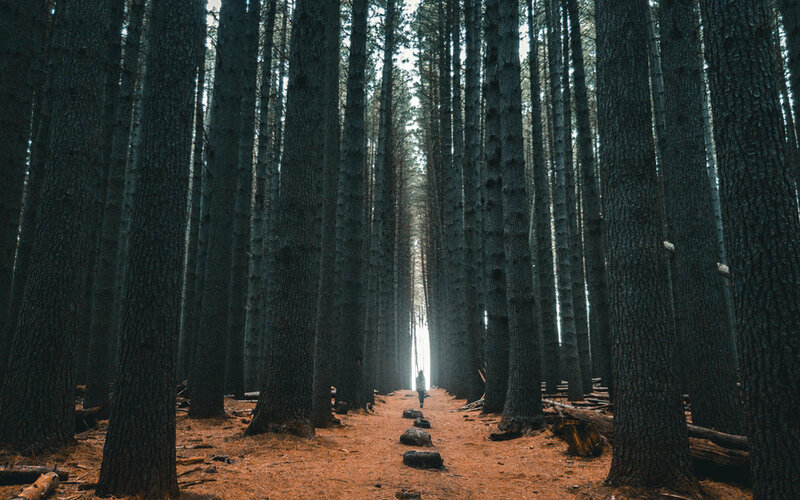 Far away from the next bigger city, you can find the Sugarpines Walk, an impressive pine forest planted one hundred years ago. If you follow that path, you can spot a fallen tree leaning against other trees - only the bravest of you would walk up there to get an even better view ;) Model: @alinakondrat. Overcast day. ISO 200, f1.7, 1/200s. Just an hour from Tassie's capital Hobart, you can find Mount Field National Park. When we arrived early December, right after a week in Abu Dhabi, the park surprised us with fresh snow and zero degrees! Nothing unusal, in winter, Mount Field is a popular ski place. Moody sunrise. ISO 160, f1.7, 1/240s. This impressive bridge can be found South of Sydney. Before it was opened in 2005, a winding road was built in the cliffs along the shore. The hike up to this spot is about 10 minutes once you have found the hidden entrance in the bushes close to the carpark. Shot out of a helicopter in the morning. ISO 200, f1.7, 1/24000s. Not just the numbers are great: more than 2900 separate reefs and 900 islands belong to the Great Barrier Reef. Especially the views from above and below the surface are breathtaking. In case you plan to travel to Australia - put this high up on your bucket list. The reef is in danger and is loosing its colors day after day. Find out more at the place how to help saving this wonder of the world! After sunrise. ISO 80, f1.7, 1/2000s. 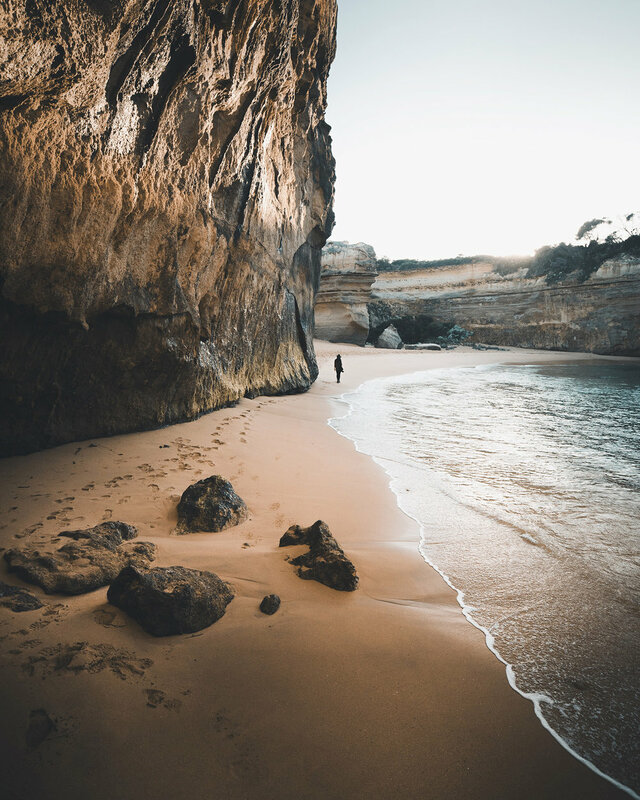 Situated along the well known Great Ocean Road gelegen, you can find the most beautiful beaches here, in Port Campbell National Park. To get a shot without thousands of tourist, you better get up early and be there for sunrise. Model: @alinakondrat. 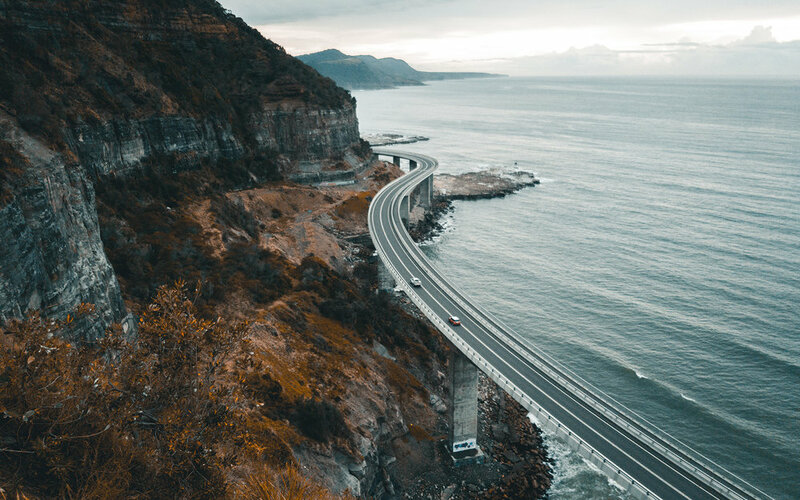 Also along the Great Ocean Road, you can find the majestic and popular 12 Apostles: cliffs that stand out up to 45 meters above the surface of the sea. Especially during sunrise and sunset, this place is absolutely magical as the cliffs start glowing. Dove Lake Midday. ISO 100, f1.7, 1/2000s. You love hiking, climbing, epic sunrises and sunset, mountains and lakes, selfies with wombats and wallabies? 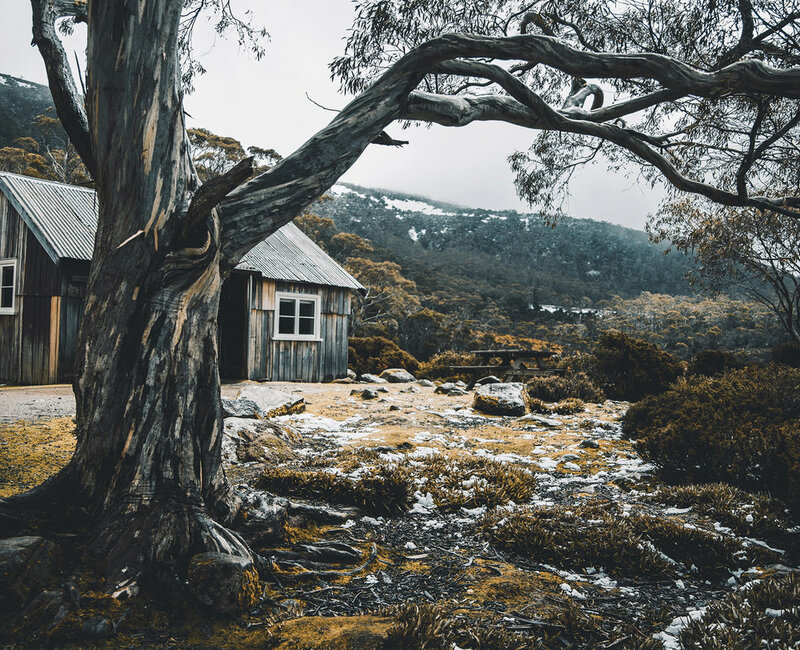 Go check out Cradle Mountain National Park. Your best bet fur sunrise shots will be Hansons Peak and Marions Lookout, both just around 45 minutes from the carpark at Dove Lake. ISO 100, f1.7, 1/250s. To achieve the majestic and powerful look of the water, I used a short shutter speed. If you prefer to give the water a softer touch, simply use a longer exposure. 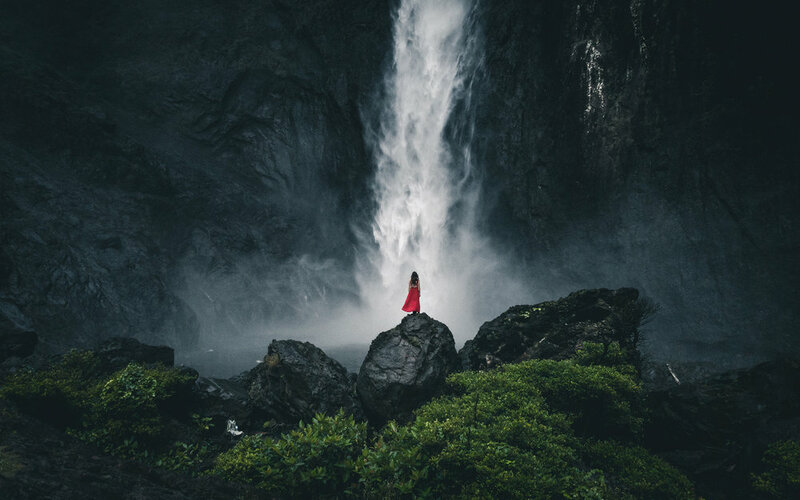 You will not be disappointed once you have decided to take to road to Wallmann Falls: Australias highest one level waterfall impresses with its 278 meters drop. Don't stop just at the view point opposite the falls, try to walk down to the base and see the whole thing from a different angle. Be careful and watch your steps as it can get extremely slippery. In the frame @alinakondrat enjoying a shower. This trip was supported by Samsung Deutschland #DoWhatYouCant. All images were taken on the Samsung Galaxy Note 8 and edited in Adobe Lightroom.